Last night following the completion of the U.S. 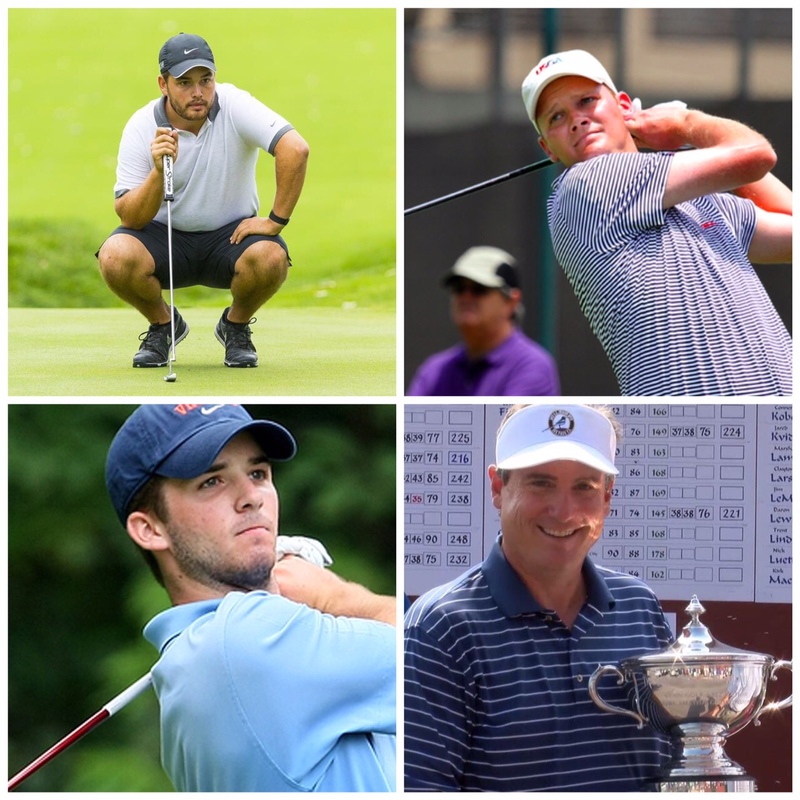 Amateur Championship the USGA’s International Team Selection Committee and Captain John “Spider” Miller finalised the 2015 USA Walker Cup team. All five attended the December 2014 Squad Session and have enjoyed strong playing seasons. 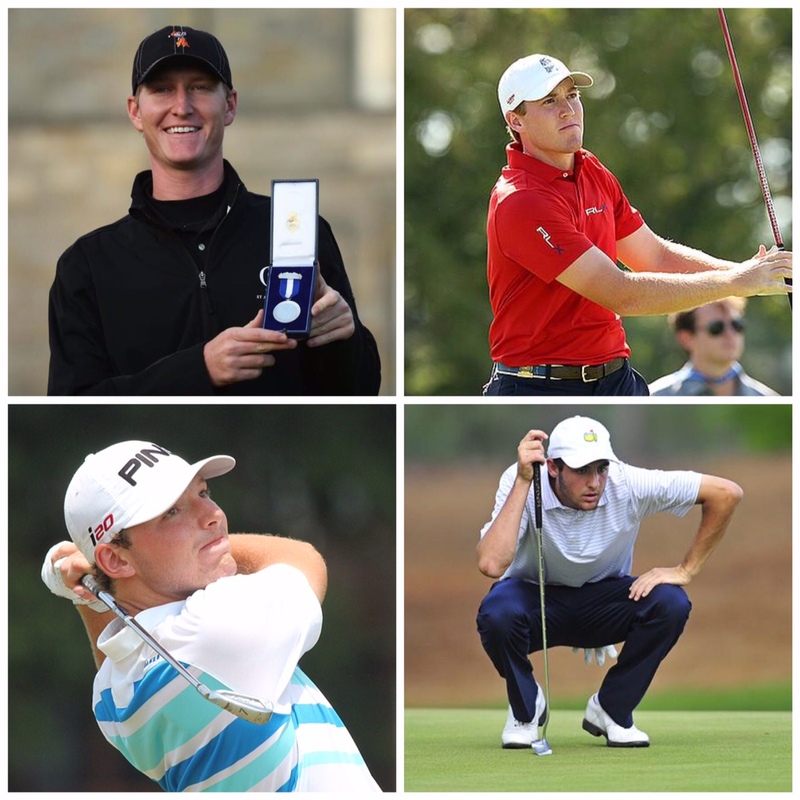 Of course DeChambeau also went on to win the U.S. Amateur in convincing fashion yesterday. The final U.S. Amateur selections were as expected. The only minor surprise here was the selection of Mike McCoy as the second Mid-Amateur, where Nathan Smith, who played in 2013, was a very credible alternative. I have heard it said that the USGA were keen to get McCoy on this team as he is considered a potential future U.S. Captain (of which there are few on either side) and at 52 this was almost certainly his last chance to make his debut. 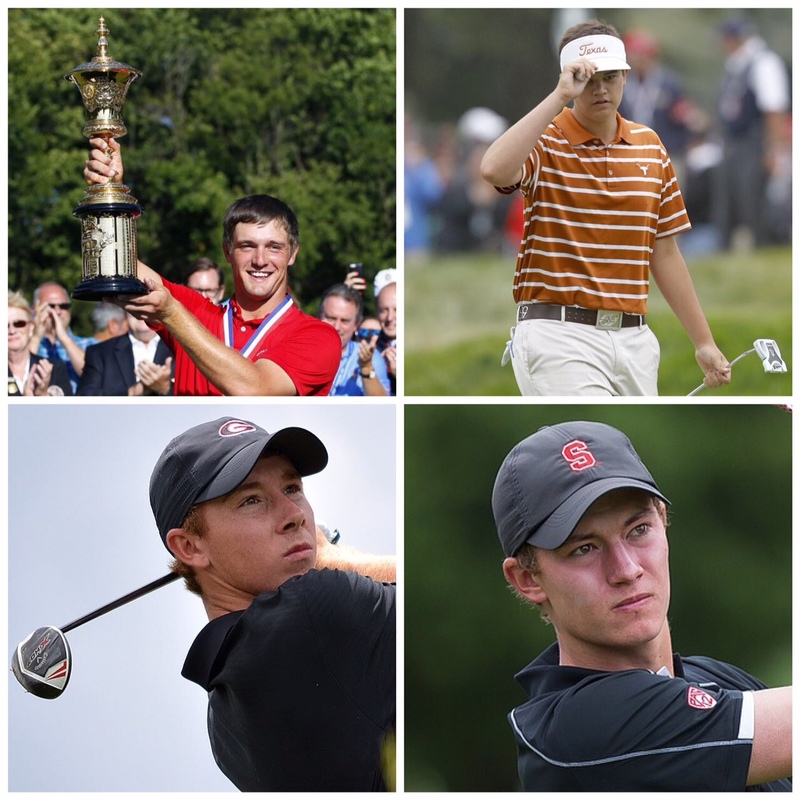 I admire the USGA for sticking with their policy of two Mid-Amateur selections. However, it does, at least on paper, weaken their team. 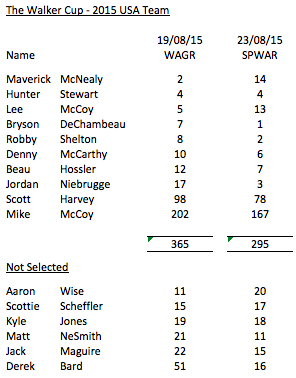 As of yesterday there were respectively 36 and 73 other U.S. Players (not already selected) ahead of Scott Harvey and Mike McCoy in the WAGR. A formidable team on paper it will be interesting to see how they play at Royal Lytham in a few weeks time. The Team are scheduled to meet up for a final training session at Latrobe Country Club next week where Arnold Palmer will be their host.